Originally based on Braitenberg vehicles ( Braitenberg, V. (1984). Vehicles: Experiments in synthetic psychology. 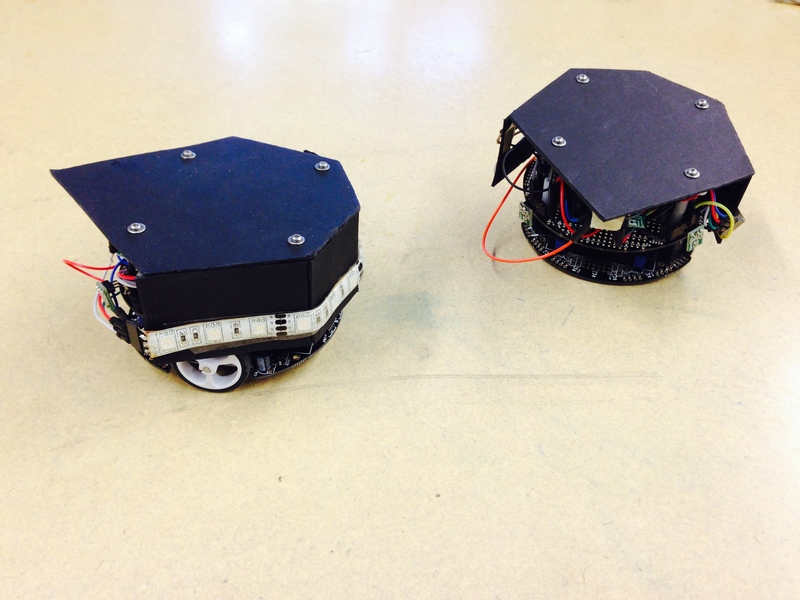 Cambridge, MA: MIT Press), those robot drive their wheels according to the signal from the light sensors. 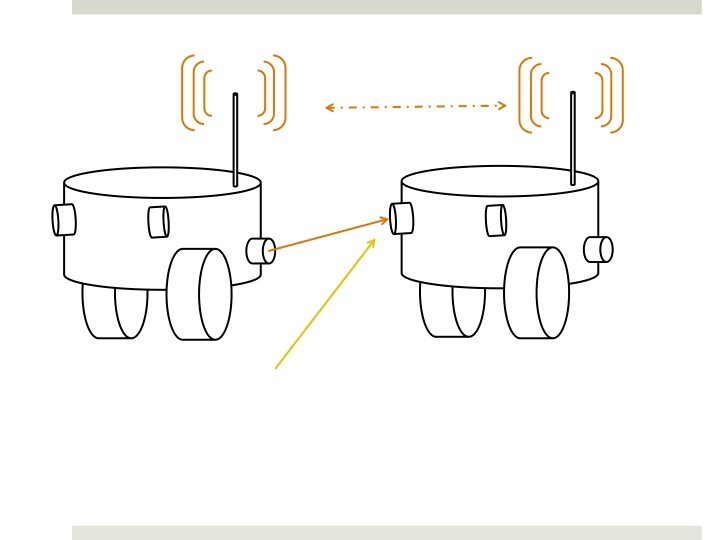 By adding the wireless communication, the robots can partly know each other’s information and change their movement and LED brightness to create visible signal. The wireless signal and the visible signal creates an feedback loop. Thus, by just applying each individual with simple rules we can observe complex behaviors that presents by the collection.